Severe storms brought heavy rain, hail, and lightning across the Chicago area Thursday night into the early hours of Friday morning. NBC 5's Lauren Petty reports. Many people in the Chicago area woke up to hail coating their cars and yards Friday morning. Overnight storms began late Thursday and continued through the early morning hours, bringing heavy downpours, hail, and lightning in many areas. One resident in Chicago’s Ravenswood neighborhood told NBC 5 they believe it was a strike of lightning that may have sparked a fire that began in the attic of home near Sunnyside and Richmond during the night. 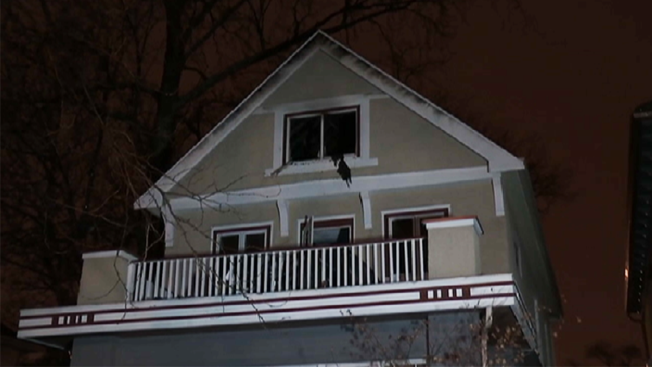 There were no reports of injuries in the fire, but it was a startling wake-up call for neighbors, who told NBC 5 they woke up to the commotion around 1:30 a.m. The storms had subsided by 7 a.m. Friday, but another system is expected to return hours later. Friday will have periodic showers and thunderstorms – a few that may become severe – with dry hours in between. Temperatures across the area Friday will tell a tale of two forecasts, seeing dramatically differences depending on the area. Highs will range from the mid to upper in 30s in far northern counties, but warm to the mid and upper 40s in central sections, and reach the mid to upper 60s in areas south of I-80 and northwest Indiana.